The way people handle relationships differ with time. As culture and beliefs change over a certain period, so does the way on how people deal with relationships. One more thing that may affect it is technology. In fact, it is technology that brought out what people now know as mobile dating. Here is a rundown of what it is all about and how it has changed the dating landscape. Mobile dating is a service that is borne out of the popularity of mobile phones. A mobile dating service offers mobile users with the means to provide personal information on a short profile stored on their mobile phone or posted on a mobile dating site. The information usually provides a person’s age, gender, sexual preference and other pertinent info. Users of the service then search for partners on the site based on a certain criteria. Mobile dating allows people to chat, flirt, meet and eventually, be romantically involved with other people using the service. It has taken over online dating in terms of popularity. One reason is that mobile phones are more readily available for people to use wherever they go. They only need to take out their mobile phones and log in to a mobile dating site and meet people for possible dates. Through a mobile dating service, people will have more time to chat up or send messages to other users whenever they have the time. Online dating usually requires both parties to be online at the same time to chat. The popularity of mobile dating has people changed the way they start relationships. People today should give a big thank you to technology for supplying a new way for people to know more about each other. Using mobile phones as the instrument for meeting possible partners just sounds so convenient. And the mobile dating services are looking for other ways to make it even more exciting. Some services now offer features that inform or alert users when another user of the service is nearby or even on the same location. Some services make use of Bluetooth technology to provide such alerts for people for making potential connections. Mobile dating may be changing the dating landscape in ways that were never available before. Some people may have second thoughts about meeting up with potential dates before they even get to know them. Mobile dating provides the means to let people know about each other before making that leap to meet up. While online dating offered that same opportunity before, mobile dating only made it even more convenient. People now just need to get that smartphone out of their pockets to connect with someone on the mobile dating service. People interact more with each other than before. Potential partners get to know more about each other in a shorter span of time. 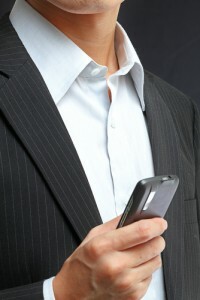 Mobile dating creates a new venue for people to meet up and connect.